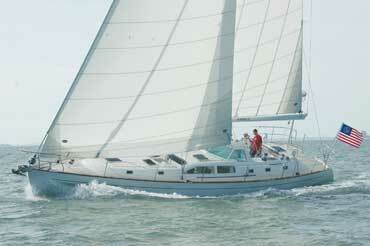 This well kept and upgraded Motorsailer is ready to move aboard and capable of going anywhere. Enjoy the comfort and spaciousness of this yacht above and below decks. 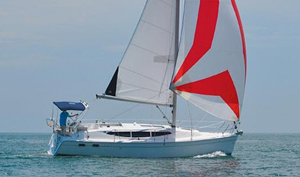 Dual steering stations (inside and out) allow for enjoyable sailing in any weather. 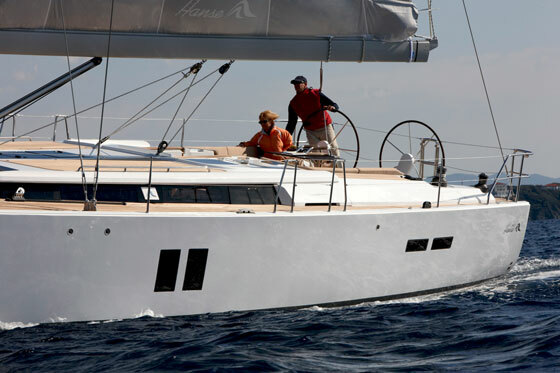 A completely New Rig 2007 with In-Mast Furling on both the Main and Mizzen and Roller Furling Headsail make for easy handling. Spacious Aft Deck Patio, a huge Aft Stateroom and plenty of storage make this a perfect Live-Aboard or Voyager. Ample tankage gives plenty of cruising range. 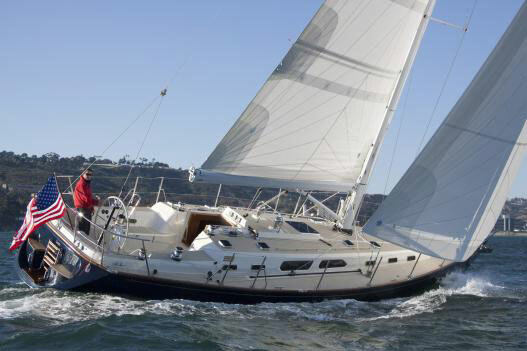 If you are looking for a sailing vessel with spacious and comfortable accommodations, this yacht is a must see. She would be a great boat for Mexico! Comfortably sleeps four with grand style in two staterooms with separate heads. Interior features hand finished solid teak throughout. Guest stateroom is forward with double Pullman berth to port with storage drawers below and hanging lockers with shelves to starboard. Directly aft to starboard is a head with separate shower-stall/tub. Opposite the head is a large galley with pass through to main salon. The main salon is four steps above the galley where there is an inside steering station to starboard and a fold down bar between galley and salon to port. Helm station and L-shaped dinette settee offer abundant storage. Large safety glass windows surround the salon for an open, bright and airy feeling. Aft of the main salon is an enormous master stateroom. It features a huge walk around centerline berth, four hanging lockers, fourteen drawers, a sit-down vanity with built in mirror, bedside tables, six opening ports and an overhead hatch. The en-suite head has a shower stall. The spacious galley is down to port, forward of main salon and features ample storage in cabinets, drawers, lockers and shelves. Aft side of galley has a large counter space, stainless steel sink and a hanging wine-glass rack. In addition to hot and cold water faucet is an instant hot water and chilled water tap. Forward side of galley has a full sized AC/DC refrigerator/freezer, a three burner princess electric stove with oven and microwave. Decks are open and spacious with fiberglass reinforced nonskid finish. After deck has formica weather cloths under teak rails and built in matching settees to port and starboard. In between is a varnished teak table and furniture creating a great social area for entertaining or just relaxing. 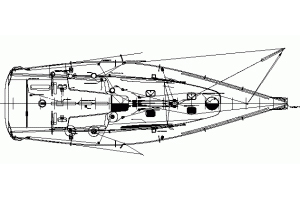 The stern rail features Custom davits supporting a 14' hard bottom Avon dinghy with Yamaha 4-stroke 50 HP engine. Sellers notes re work done! Auxiliary power is provided by a Ford Lehman 120-HP, diesel inboard engine with a Paragon gear reduction gearbox with 1.75” (+/-) stainless steel propeller shaft lead through a flexible (hose) stuffing box to a bronze shaft log with a conventional sleeved cutless bearing and a bronze propeller (not inspected, vessel in water). 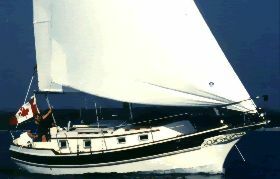 Masts, booms and rigging have been significantly upgraded on this vessel with aluminum masts (original were wood) and roller furling units for all sails (main, mizzen, headsail). The vessel electrical system includes a 12-volt DC and a 120-volt AC system. Six 12-volt 8-D AGM batteries are divided into three banks for house, Onan generator and engine starting. Owner's personal items excluded. Exclusions include, however are not limited to, Seller's personal possessions, loose items, binoculars, handheld radio(s), charts, tools, fishing equipment, spare parts, clothing and foul weather gear, galley equipment, linens/bedding and any items not specifically listed on equipment list specifications sheet.